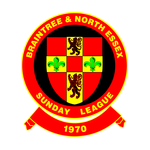 This week saw four of our BNESL teams play in the Essex Sunday Premier Cup. Sadly, all but one failed to progress to the next round. Hullbridge Sports proved to strong for Braintree Bull as they failed to get of the mark in a 5-0 defeat. Bocking Social found a single goal in reply to Old Town Athletic in their 3-1 loss and Broomfield held Vikings at 2-2 at the end of 90 minutes which saw them go to extra time. Vikings proving to have the stamina to take the score to 3-2 after extra time. Valley Green continued their run of form beating fellow BNESL team Western Arms 4-2 securing them a place in the next round. The Premier division saw goals in every game and one team in every game scoring 3 goals. Sadly two of those teams lost in 4-3 defeats, Only Gt Bradfords emerged victorious beating Black Notley 3-2. The league table is tight and those at the top need to continue to win over the next few weeks to remain in place as those in mid table positions are in touching distance. Division one saw one game postponed (Silver End Social V Onley Arms) as Onley Arms could not field a side in this early season fixture. Great Bardfield V Witham Nomads ended 3-2 while Notley overcome Panfield Bell at home 2-1. In division two the steady boat of Manor Works was rocked after last weeks 6-1 win over Bocking Social Reserves. This week they failed to find the back of the net in a 1-0 loss to Great Bradfords Reserves. Dunmow Rhodes Reserve romped home 5 as they were too strong for TK Eagles who could only find 2 goal in their game. Witham Phoenix let their guard down as the lost 4-1 against Bock Social Reserves. On to next week with some big games being played including County Cup fixtures. I am sure some good old fashioned local rivalries will be restored. Vikings beat Broomfield with the last kick of the 120 minutes and Broomfield also missed a penalty in the closing stages of 90 mins when it crashed against the bar, considering Broomfield stepped up to the Premier cup they done our league proud in the game and kept their cool in an aggy encounter.